Oro Valley Home Sales March 2017 report for Single Family Residences (SFR). Click the link below to view the December’s Single Family Residences sales activity. Our Tucson Housing Report covers all Tucson Real Estate activity for March. Follow the month to month changes in the Tucson real estate market – HERE. 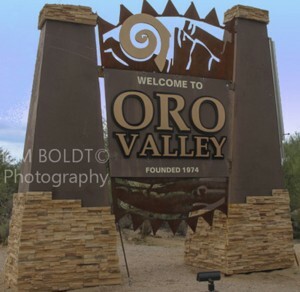 Oro Valley, AZ continues to be one of the fastest growing communities in Arizona. Just 20 minutes north of Tucson, the Town of Oro Valley vibrant community. The Town of Oro Valley offers a great lifestyle with community parks, an aquatic center, golf course and endless activities. Take a quick video tour of Oro Valley – START HERE. Our Oro Valley home sales March 2017 video presents the latest home sales activity for the Town of Oro Valley, AZ. Play Kim’s Oro Valley Home Sales March 2017 Video Update – NOW! For an authentic Southwestern experience, Southern Arizona can’t be beat. The Sonora Desert covers this region with spectacular desert habitat. The giant saguaro is an icon of the American Southwest. Cactus forests blend with grasslands, riparian streams and mountain ranges. There are five mountain ranges surrounding the City of Tucson. Each mountain range is distinct. The Santa Catalina mountains are spectacular. And the Pusch Ridge view is a familiar backdrop for Oro Valley home owners. The stunning views of the Catalina Mountain and Mt. Lemmon makes Oro Valley a distinctive community. Oh, BTW, Mt. Lemmon is the southern most snow skiing area in the United States. The Oro Valley home sales March 2017 is one of our nine monthly reports. Our 1 minute home sales updates present the latest TARMLS trends in popular areas of Tucson.